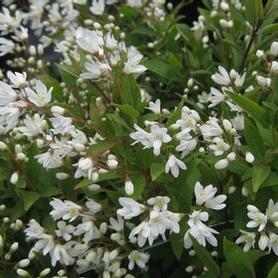 'Massachusetts' Bearberry has small shiny evergreen leaves with small pinkish white bell-like flowers in April and May, often followed by red fruits. 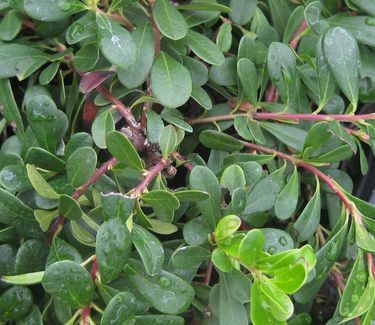 Arctostaphylos is best in acid soil and sandy, well drained sites. 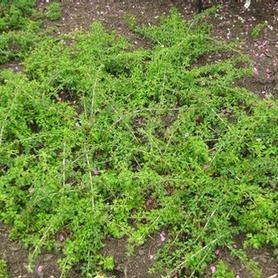 Grows well in poor infertile soils. 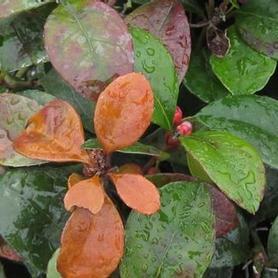 There are large colonies of Bearberry in the NJ Pinelands. Selected by Bob Tichnor of Oregon from seed collected in Massachusetts. It is also salt tolerant.